5) Contest deadline: Saturday, June 2, 2012, at midnight. The winner will be notified by email. If you do not leave me an email in the comments and do not respond to the Winner Announcement on the blog by Saturday, June 9, 2012, another winner will be selected from the entries. Hello I am A new follower! I Love your Blog. I am entering the contest and I have posted a link on my blog about your giveaway. :o) Have a great day! 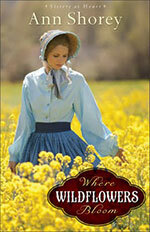 Hi Susan .. they look good reads - love the bonnets .. sadly I can't win as I'm over the pond .. whoever does - enjoy your books .. I am a follower and I've posted about the giveaway on Twitter! Hi BL - Welcome! Thanks for becoming a follower and posting a link on your blog. Hi Hilary - Thanks for stopping by and commenting. I'm so sorry I can't make this giveaway available to my friends across the pond. Hi Jen - LOL! I love your enthusiasm. Hi Diane - I've recommended all these books on my blog. They're super! Hi Karen - Aww, thanks, my friend. I'm grateful I met you as well. Hi Jaime - Thank you. Maybe next time around there will be selections you haven't read. Hi JoyAnne - Thanks for Following and posting on Twitter. I love making new friends. What a generous give-away! You've got me hooked on historical novels, but I several I need to tackle before adding to the collection. It's just fun to drop by now-and-then to see what you're up to. 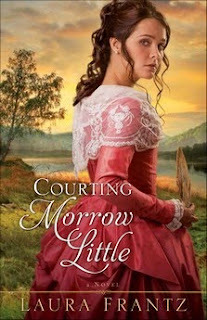 I love Courting Morrow Little! But, I haven't read the others and would love to be entered into the contest! I will post this to my Facebook and Twitter pages, as well. Thank you! Hi Gabrielle - Thanks for stopping by and entering the giveaway. I've given you three entries. Ooo, sorry! I hope you'll pick up these books. They're excellent.